This past weekend at Concordia, we kicked off a new series titled “Fit for Life” where, for the next few weeks, we are discussing how Jesus can bring health and wholeness to every area of our lives. Indeed, in my sermon this weekend, I began by talking about how the ancient Israelites had a word that they used to describe this kind of holistic health: shalom. This word, most often translated as “peace,” was used to describe a person’s overall well-being, wholeness, health, and even the promise that God would one day come and set the brokenness of this sinful world right. And then, one lonely night in Bethlehem, angels appear to a group of shepherds announcing the birth of a Savior named Jesus and singing: “Glory to God in the highest, and on earth peace to men on whom his favor rests” (Luke 2:14). In Christ, God had fulfilled his promise to bring shalom to this earth. As God’s shalom incarnate, Jesus brings health to a broken world. He gives sight to the blind, he makes the lame walk, he cures those who are sick, he makes the deaf hear, he raises the dead, and he preaches good news (cf. Matthew 11:5). 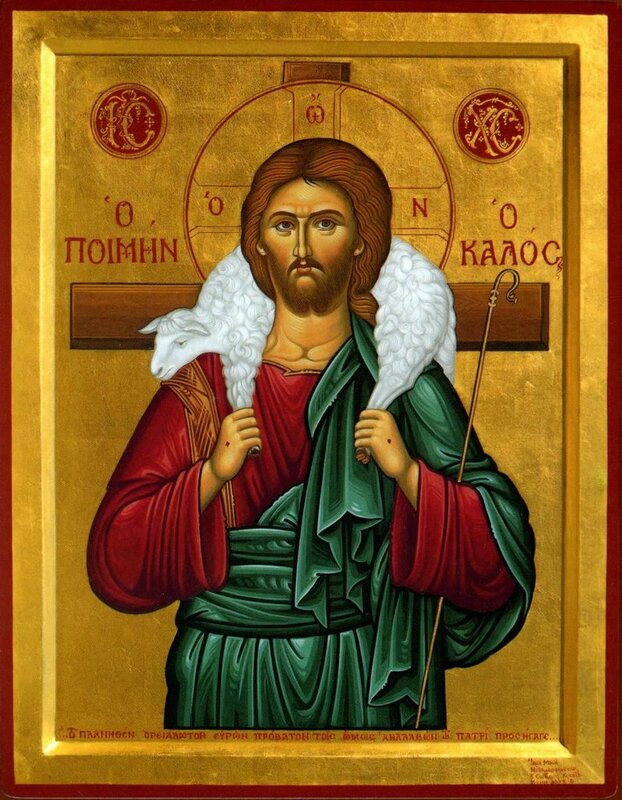 One such instance of Jesus preaching good news comes in John 10, where Jesus calls himself “the Good Shepherd” (verse 11) who comes “so that we may have life, and have it to the full” (verse 10). How does the Good Shepherd accomplish such a feat? By “laying down his life for the sheep” (verse 11). In my sermon, I spoke of two different words that Jesus uses for “life” in verses 10 and 11 respectively. When Jesus describes our life in verse 10, he uses the word zoe, describing normal, everyday life. When Jesus talks about laying down his life in verse 11, however, he uses the word psyche, meaning “soul.” Thus, Jesus lays down his very soul at Calvary so that we can have not just normal, everyday life, but full, eternal life. Jesus’ call, then, is to build your zoe on what he did on the cross with his psyche. One of the things that Jesus promises as our Good Shepherd is this: “His sheep follow him because they know his voice” (verse 4). I find it interesting that Jesus’ sheep do not just hear his voice, or even listen to his voice. No. Instead, they know his voice. They know its tone and tenor. Indeed, they know his voice so well that “they will never follow a stranger; in fact, they will run away from him because they do not recognize a stranger’s voice” (verse 5). In our world, there are many voices that clamor for our attention and allegiance. The voices of politicians try to steer us to vote Republican or Democrat. The voices of financial gurus try to get us to invest with them, promising exceptional returns on our portfolios. There are even voices of differing and competing spiritualities, all trying to get us to believe their claims. “It’s all karma. You only get what you got coming to you.” “There is no God but Allah, and Mohammed is his prophet.” “All roads lead to God. Just be sincere in what you believe.” “Salvation is found in no one else but Jesus, for there is no other name under heaven given to men by which we must be saved” (Acts 4:12). Which of these voices do you believe? The invitation of our Good Shepherd is to trust in his voice and his voice alone. For all other voices of this world – be they political or financial or spiritual – lead to an empty life and, finally, to an eternal death. But listening – and knowing – the Good Shepherd’s voice leads to a life that is full and, finally, to a life that is eternal. This week, get to now the Good Shepherd’s voice a little better. Read his sure and certain voice in his Word. Listen for the whisper and prompting of his Spirit. Wait for the Good Shepherd to respond to your prayers. For when you know the Good Shepherd’s voice you also know shalom. And there is no better thing than shalom for a full life – and for an eternal one. message or Pastor Nordlie’s ABC! Entry filed under: ABC Extra. Tags: Full Life, Good Shepherd, Health, John 10:1-11, Shalom, Voice. You fed your sheep well.